Being a trusted mattress dealer in Newington, we often hear from clients regarding bed bugs and dust mites and their effect on mattresses. It should be noted that if you suspect that you have a bed bug infestation, make sure to immediately call a pest control company in the area that specializes in the treatment and eradication of the pest. That being said, here are the most common questions our customers have regarding bedroom pests and mattress care. Question: It seems that my daughter’s mattress is infested with bed bugs. Do we need to buy a new mattress? Answer: Though ridding your home of the mattress is a good idea, it won’t necessarily get rid of the problem. Bed bugs are known to be expert hitchhikers and prolific travelers. Though the infestation may have started in your daughter’s room you should check all of your rooms for signs of their presence. Its not likely that they stayed in one area which negates the positive steps of buying a new mattress as it is likely to experience infestation in little time. Question: How can I protect my new mattress against dust mites? Answer: Proper mattress care and protection can go a long way in keeping insects and pests to a minimum. 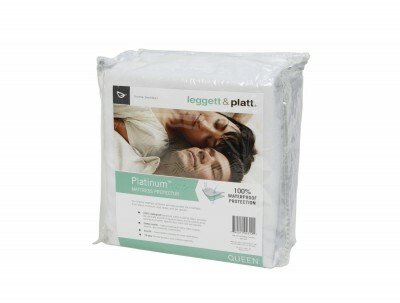 We recommend the use of a high-quality mattress pad to serve as a barrier between your body and your mattress. Because mattresses are an investment that you’ll want to have last as long as possible, the use of a mattress pad may keep dust mites from inhabiting the other areas of your bed, keeping their damage to a minimum. Question: How long should my mattress last? Answer: With proper care and regular flipping and rotation, a good quality mattress should last anywhere from 12 to 20 years. Paying attention to your mattress’ manufacturer’s warranty will give you a good idea about how long it is expected to last.